Hotels listed in this brochure will be used on almost all departures. If changes become necessary for any reason, substitute hotels will be similar to those in the brochure. Please Note: The cruise provides plenty of time for sunbathing, swimming and exploring the charming Dalmatian towns that we visit. In case of unfavorable weather and/or sea conditions, the cruise itinerary may be modified in the interest of passengers’ safety. The boat is 34 m long, 7,60 m wide and has 2 masts, with cruising speed of 8.5 NM. Capacity: 38 persons. It has 19 cabins (all fully air-conditioned) with queen-size bed or twin beds (with possibility for an additional bed), a cupboard, a cabinet and a window or porthole, bathroom with shower, toilet and wash basin. It has fully air-conditioned salon-restaurant on the main deck (for 40 persons) with a bar and a LCD TV, two sun decks, one of which has sun beds and tables. It also has two outside toilettes with showers. Please Note: Our representative in Croatia reserves the right to change the vessel provider in case the contracted services are not supplied according to previously agreed standards. Upon arrival at Zagreb Airport, transfer to hotel. Meet the tour guide, dinner and overnight. Morning city tour of Zagreb, including the fortified Upper Town, the city’s historical center, St. Mark’s Church with its multicolored roof, the Cathedral, the Croatian National Theatre and the University. After the city tour drive to Plitvice, tour the Plitvice Lakes National Park on the UNESCO’s List of World Natural Heritage. Sixteen lakes, each at a different level, are joined in a series of cascading waterfalls. Surrounded by dense wood Plitvice Lakes are a natural phenomenon of a rare and unique beauty. Dinner and overnight in Plitvice. Morning departure for Trogir where we visit the Cathedral of St. Lawrence. 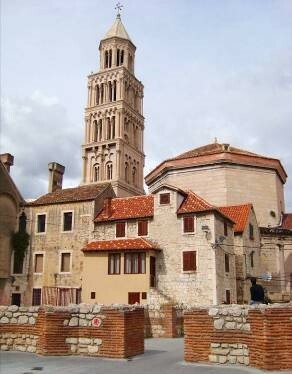 Continuation to Split; city tour of Split, including the Diocletian’s Palace on the UNESCO’s List of World Cultural Heritage with the Peristyle, the Jupiter’s Temple and the Cathedral. Dinner and overnight in Split. We embark in Split, with a welcome dinner that evening and overnight on board. After breakfast on board we set sails for the island of Brač. Enjoy a pleasant sea-front walk and swim, if weather permits, in one of Brač’s many lovely coves and bays, and lunch on board. Our next destination is Makarska on the mainland, where we will spend the night. We depart for the island of Korčula after breakfast, with a stop along the way to swim, cool off and relax, if weather permits, with lunch on board. In the late afternoon we arrive at Korčula, the most preserved medieval town whose street design is based on a fish bone pattern, to spend the night. In the morning we start sailing to Dubrovnik, stopping on the way for a swim, if weather permits. Lunch is on board, and in the afternoon we arrive in UNESCO World Heritage listed Dubrovnik – “Pearl of the Adriatic”. We will spend the night in Dubrovnik. 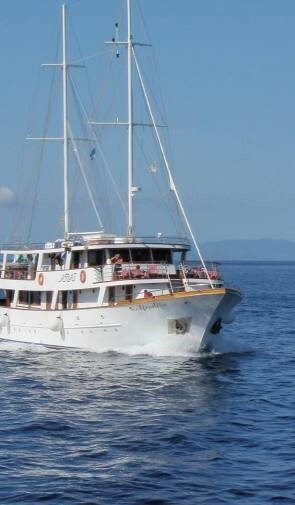 Departing from Dubrovnik in the morning, our sail to Mljet Island includes a stop for swimming, if weather permits, and lunch on board. 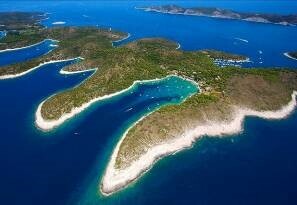 Croatian “Greenes Island” will hypnotize you with its beautiful, untouched nature and its cultural heritage. 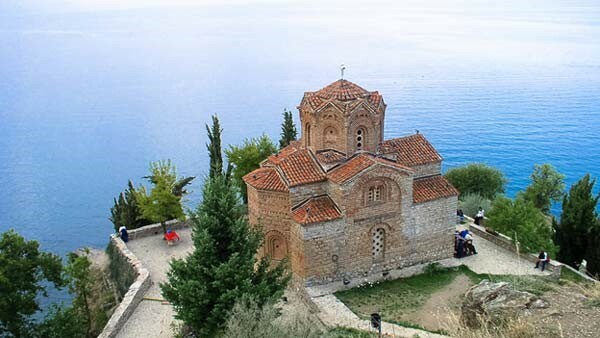 We arrive in the heart of National Park – if you want to visit it, you’ll just walk to the entrance where you can purchasethe ticket to walk around the Great Lake and the Small Lake and join the boat ride to St. Mary Island. We will spend the night in Mljet. In the morning we continue our adventure by sailing to the island of Hvar, the sunniest island. We stop along the way for a relaxing swim in one of the secluded coves on Pelješac peninsula (weather permitting). Lunch on board and in the afternoon we arrive in the town of Hvar. Apart from its unique cultural heritage, Hvar is celebrated destination for singles and families, sailboats and super-yachts. With its sunny climate, natural beauty, excellent food, wine and sports offer, Hvar has it all and that’s why it became so popular and wanted during summer time. Enjoy the evening here. In the morning we depart for Split, stopping along the way for a relaxing swim at Bobovišća bay on Brač Island, if weather permits. After lunch on board, we will spend the evening in Split.